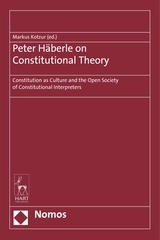 Peter Häberle, one of the most eminent constitutional lawyers in Germany and beyond, has devoted over four decades of academic work to one central idea: that processes of constitutionalisation are cultural processes and their outcome, the constitution, thus qualifies as an emanation of culture itself. This volume introduces six seminal centrepieces of Häberle's constitutional cosmos to an English-speaking audience. His reflections on “Fundamental Rights in the Welfare State” introduced a “flexible dogmatic of human rights” according to which all human rights can be conceived social rights. 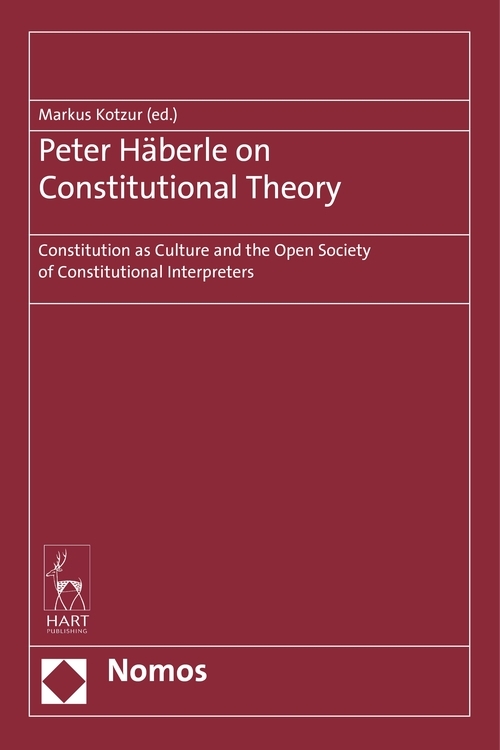 “The open society of constitutional interpreters” and the classical piece on “Preambles in the text and context of constitutions” revolutionised constitutional interpretation theory. In his article on human dignity, Häberle paved the way for conceptualising this notion as a textual foundation of constitutional Democracies. The last two papers present the rationale for a cultural concept of constitutions and apply to the European plane, too. This book will allow readers to get to know Peter Häberle as a scholar who wants to discover the world beyond positive law. 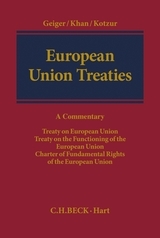 Markus Kotzur is Professor of Public International Law and European Law at the University of Hamburg.